The fox flail mower is suitable for 15 to 30 HP. 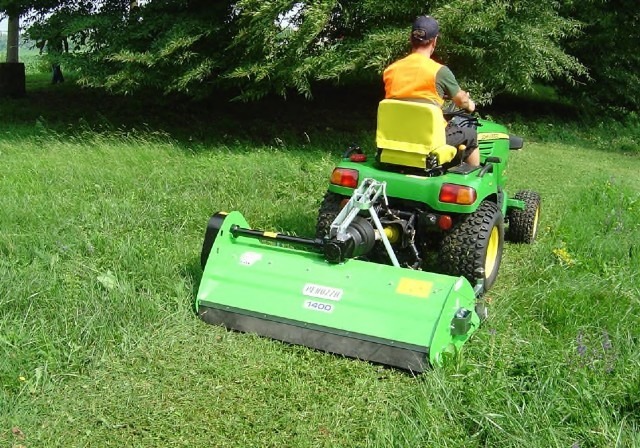 For grass cutting and reduction of small branches with contemporary ground rolling on grass field, municipalities or sports grounds. Its high rpm on flail shaft and flails quantity gives an excellent cut quality and mulching. A good verticut action is done by adding the vertical blade. It can be fitted on rear tractor 3 point linkage. Grass discharge is behind the roller. 540 rpm with overrun clutch. VERTICUT BLADES: ………….…..3 mm thickness. FRONT CASTOR WHEELS: …….2 pieces-adjustable in height.